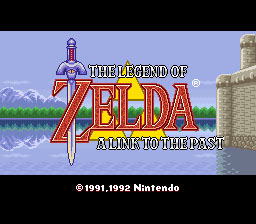 This was the first and only Zelda game on the Super Nintendo. This game was more of a roots version than the other ones. This starts off with Link as a teenager and discovers his uncle has been bested in a swordfight (the old man got whooped, and dies). And so, Link goes off to kill things. Ganon’s actually in this one. Graphics: Now these were some purdy graphics, especially for back then. I liked them, my friends liked them, everybody liked them, even your dog (I dunno about your cat). Okay, maybe I’m exaggerating a bit, but they were still good for the time. 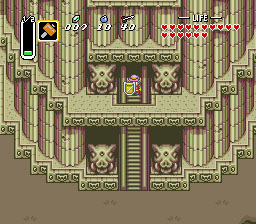 Plot/Linearity: The usual, go get the triforce, kill things, fight Ganon, save Zelda. Battles: Still pretty much the same as the one in the original game, except now you have some cooler weapons to play with, like the hook shot and other goodies. Music/Sound: Zelda music with some new classics. Oh I do love the music. Finishing: The top view would be the last time we would see this wonderful playing perspective for a Zelda game on a big console. And I don’t know how much longer we shall be seeing them on the Gameboy versions. I miss this view, but technology grows and….and….just let me be for a second…..*sniff*.